Last year in December something strange happened: I began wanting to hear Christmas songs. I have never had a strong dislike for them, except the “holiday” songs that are so obviously genericked there is no meaning left, just feel-good words added to feel-good tunes. But I have not in my memory craved Christmas songs before, even in my childhood. Last year at this time I did. And this year it happened again. What I crave is specifically the good old Christmas songs that my parents and grandparents knew, back when no one was worried that Christmas might offend the various other religions and degrees of lack thereof. Not that they necessarily are all “Hail Jesus”, although that is good too, but some of them are actually only tangentially related to Christmas as such. There is just something heavenly about a good Christmas song. They feel similar to me as those pious Catholic books I mentioned yesterday. In a world where everything changes all the time, there are some things that deserve to be actively brought along from the past into the future. This is what real conservatism is, of course, to conserve good things from the great procession of generations that have passed through this life ahead of us. I understand that in the USA, the word “conservative” has gotten a rather different meaning. Well, with the USA holding less than 5% of the world’s population, I’m afraid they can’t be allowed to define my words for me, especially now in the waning years of that once great nation. So yeah, I guess my enjoyment of Christmas songs far older than I am means I have turned into a kind of conservative. But I am not a full-fledged Christmas conservative. I have no plans to buy a tree and decorate my home and bake cookies and arrange parties. And I may still spend Christmas Day in Skyrim, although it is not absolutely certain. At least Skyrim is sure to have snow! Perhaps I should replace the game’s music files with Christmas songs… Nah. I think some things are better separately. Now that you have Spotify in America, you can perhaps hear some of my Christmas favorites! I am pretty sure all of these are older than my parents, probably much older. Obviously then, they are in Norwegian. You should still be able to get the feeling from them. What do you think of the perspective that natural disasters are caused by demons? That’s not my brand of religion. I’d say that the physical events (earthquakes, floods, volcano eruptions etc) are part of the natural, created world. But the prolonged fear, anger, bitterness and despair that follow such events can be said to be caused by demons or mind parasites. Although even then, there needs to be some part of the person that is responsive to such influences. But that is part of the general makeup of the human mind, unfortunately. We can to some extent change our own mind and realize that bitterness and despair will never undo a disaster, nor avoid the next. They only add misery to misery. 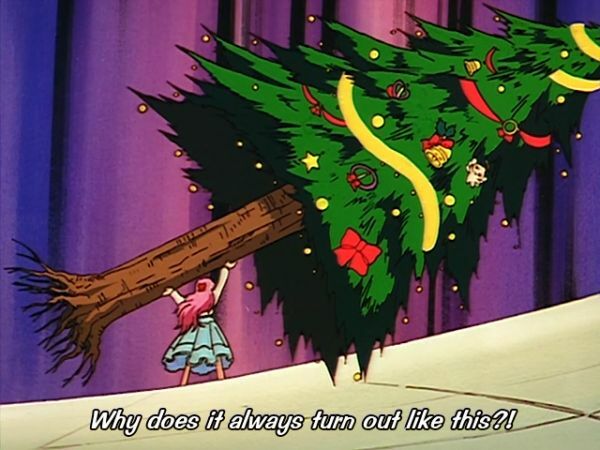 Although I have no opinion (at least that I want to get into) about the relationship between natural disasters and demons, I do have opinions about Christmas! We love it. We’ve decorated the inside of the house, but haven’t put up our tree, which makes me sad. The fact that our cats climbed it and chased each other around and around within it before we decorated it last time we tried to put one up tends to affect our willingness to even try again . . . Anyway, I love this time of year. I love it for all the “conservative” reasons that you mention (and this is one of the ways that I actually AM ultra-conservative, strangely enough! ), and for its religious connotation. We’ve been watching Christmas specials (which are frequently cheesey, granted, but the kids like them, and I like watching the kids watch them), baking Christmas treats, and will begin making our tamales this weekend (a Tex-Mex holiday tradition). Mostly, though, we sing. Or, rather, Jeff listens and occasionally chimes in, Jared (who has a WONDERFUL voice that truly merits the capital letters, especially since it has deepened) while Jenna and I sing. We always print out every Christmas song we know and care for, so that we aren’t limited to repeating the first couple of verses over and over. We have Christmas playlists on our iTouch/iPhones, and we listen to them and sing along with them in the car on the way to . . . well . . . anywhere! I wish you could be with us at such times! I know we would enjoy it, and you might, too! Hi Kristi! You recommended Skip Ewing last year too, and I found his songs on YouTube. Which is good, because I doubt I would find them in Norwegian record shops! While not my type of tune, I was impressed by the subtle, understated lyrics. A job well done. If I had cats, I just might have bought a Christmas tree. I have been thoroughly informed of their love for climbing these, a great source for cute pictures. I’ll be happy to spend Christmas with your family when the Singularity brings us safe and affordable personal teleportation. ^_^ That may be a way off yet, but I still wish you all a blessed Christmas in remembrance of the Child who showed us all how to become like small children. It Wasn’t His Child is hard to sing (and yet we try, loudly and often! ), and the only part that bothers me is the preposition “in” at the end. I’m not sure I knew about “I Trust You” last year. Did I? Anyway, sorry to keep recommending it. It is something I always reflexively recommend, therefore I often don’t remember which friends I’ve already told about it and which I haven’t! It was definitely fun to watch the cats and the tree. Fortunately, we saw what they were doing BEFORE we put all the decorations on. It was, basically, a huge cat toy that year for the couple of weeks we had it up. They would get “into” the tree, then they would chase each other around and around the trunk, often stopping to poke their heads out of the greenery at various spots. If I hadn’t wanted my Christmas tree instead of a huge cat toy, it would have been immensely entertaining. (And, truly, it was hysterically funny, and I loved it. I just couldn’t let the cats know!) I wish I’d taken pictures, but was generally freaked out worrying the whole thing was going to come crashing down, cats and all, and burst through the dining room window every time they did it. We love you, Magnus, and when you do decide, if ever, to come to our region of the world, you will have a place to stay with us!